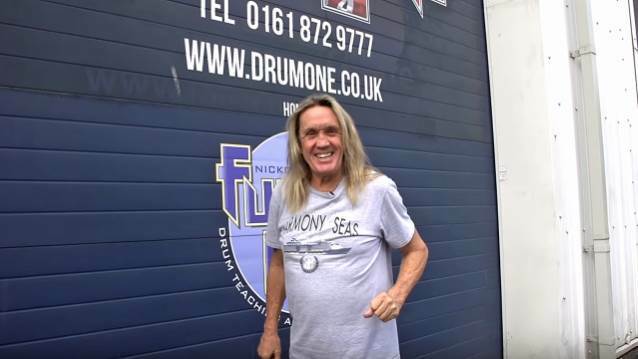 A newly released promotional video for IRON MAIDEN drummer Nicko McBrain's drum store, Nicko McBrain's Drum One, can be seen below. Located in Manchester, the retail capital of the North of England on the Trafford Park business estate, the store features Planet Paiste, the U.K.'s largest dedicated Paiste show space and the Sonorsphere where customers can find the biggest selection of Sonor products in the country. All major drum and percussion brands are stocked.